The 2018 Midterm elections were historical – with voter turn spiking to levels we haven’t seen in a century. But behind and beyond that success story is the bigger story – the vast differences in voter turnout driven in large part by states’ various voting policies. 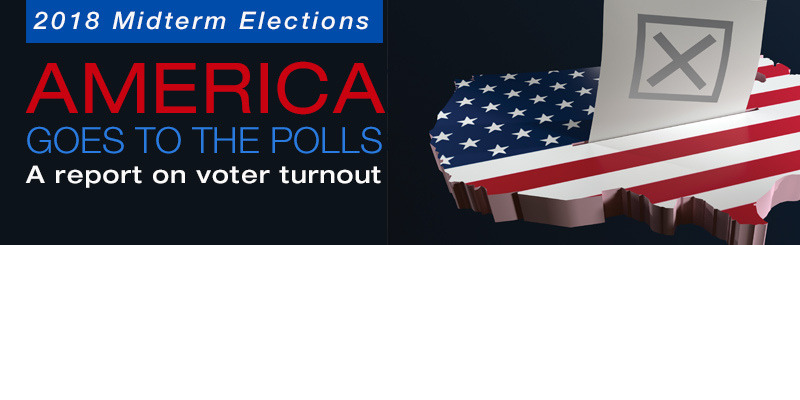 The new America Goes to the Polls report, a collaboration between Nonprofit VOTE and the U.S. Elections Project, digs deep into the data to not only rank all 50 states by their official voter turnout numbers but examine how policies like Same Day Registration, Automatic Voter Registration and Vote at Home have made a real impact on the U.S. electorate.